Bulgaria will build a super-fast railroad highway to connect the capital Sofia with the western city of Vidin and the new Danube Bridge there. The investment amount is estimated at EUR 2.7 B. The railway will be 222-km long; trains will travel with speeds up to 120 km per hour (or the trip between the two cities will be less than 3 hours, compared to the current 5.5 hours); the deadline is 2021. 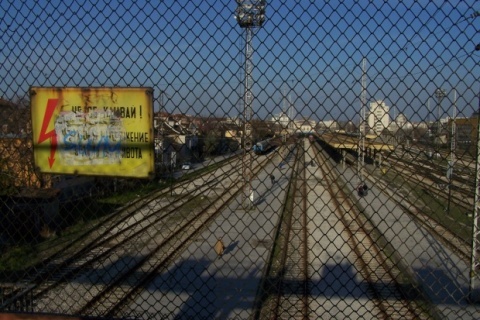 The railroad highway is part of the European Corridor 4 connecting Central Europe with Turkey and Greece. The corridor is an EU priority. The State-owned Railroad Infrastructure Company organized a public discussion of the environmental assessment of the project, prepared by 20 independent experts and already approved by the Ministry of Environment and Waters. Bulgaria and the EU will split the cost with 49% or about EUR 1 B to be paid by Bulgaria, making the railroad the most expensive one to cross the Stara Planina mountain range. The construction is also needed because the forecast is for the train traffic between Sofia and Vidin to double by 2020. The project has been assessed as having no negative effect on the environment and is expected to provide a number of job openings and contribute to the overall development of the region, considered the poorest one in Europe.